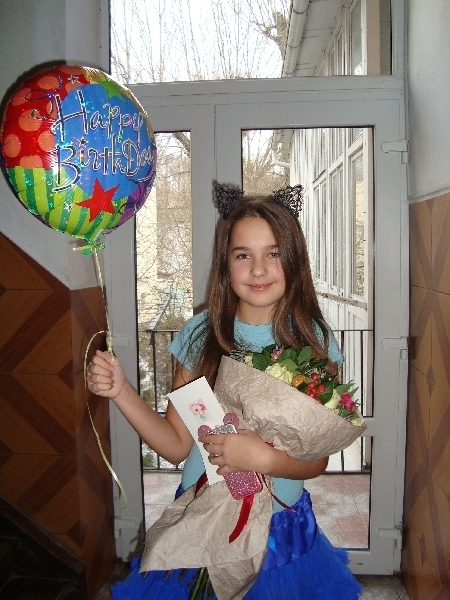 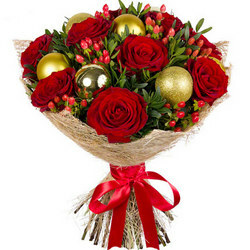 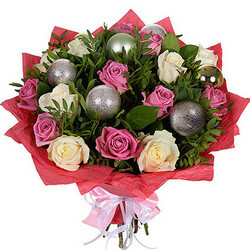 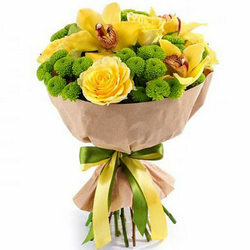 Luxury bouquet will be a wonderful gift for the New Year holidays to a loved one, friend or colleague! 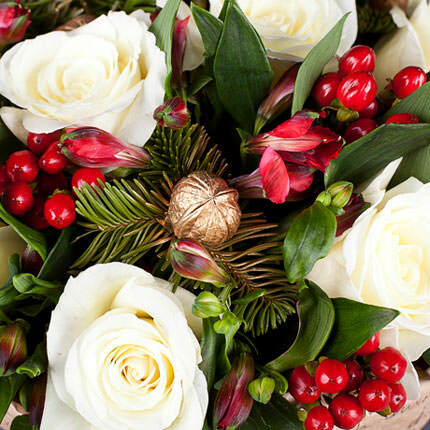 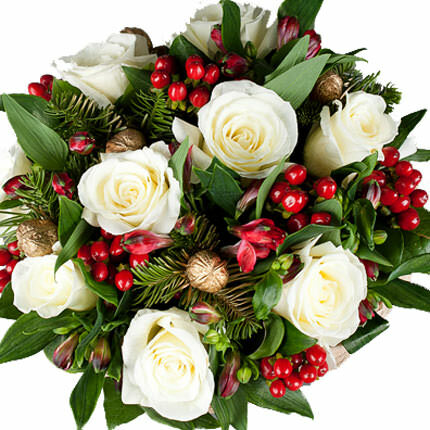 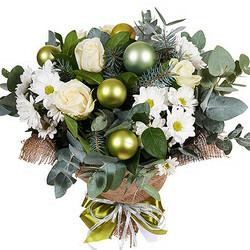 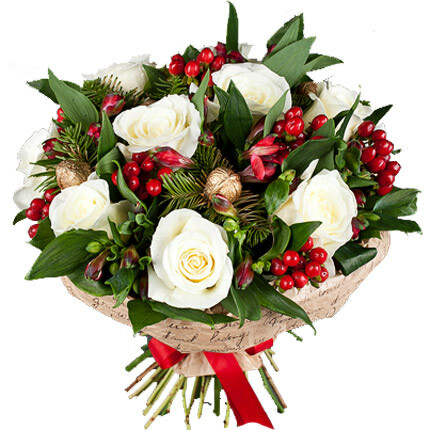 Composition: 9 white roses, 3 alstroemerias, hypericum, fir branches, christmas decoration, packing. 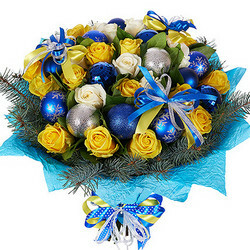 20032019 © Flowers.ua Bouquet "Frosty Morning"